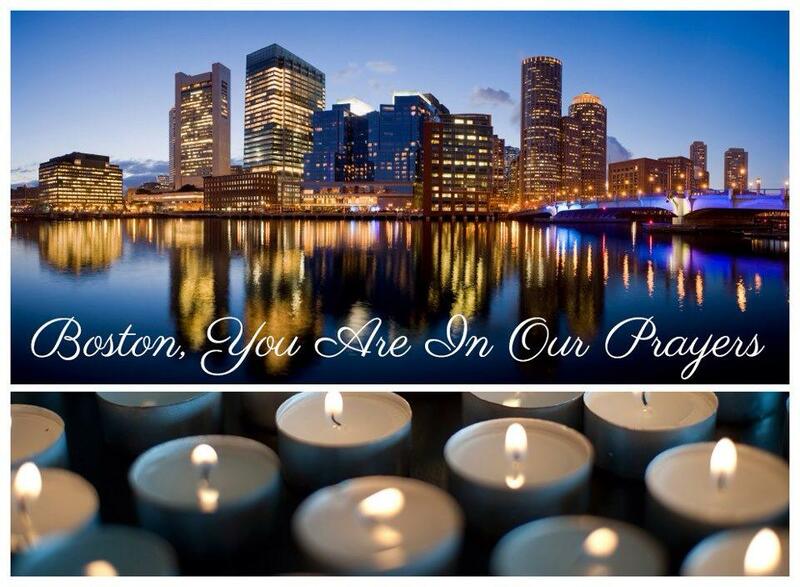 Photo credit unknown – shared from Facebook posts. My apology to the owner/originator. One of my most dear friends changed jobs earlier this year and now works at one of our business units ~30 minutes away (in the great town of Ann Arbor, MI). I realize that 30 minutes is not much in the grand scheme of things, but for folks working in Corporate America, a 60 minute round-trip commute (or even 30 minutes if we meet halfway in between) creates quite the challenge for meeting up for lunch. And, Jessi and I used to have lunch at least three times a week together! Friends…the past few months have put me in shock! I’ve missed my one on one time with her so very much! So, when I had the opportunity to head out to Ann Arbor last Friday afternoon, I was thoroughly excited to spend some QT with my girl. She guided me to a Mexican place a few minutes up the road from her office. She said that they have the best quesadillas, and who am I to argue with a friend of mine who has fantastic taste in food! It was formerly a steak joint, but now Maiz Mexican Cantina is the patrons’ destination. I love that Maiz uses local purveyors and local ingredients. Jess and I had so much to catch up on, although we stay in contact daily via texts, phone calls and emails – that we failed to look at our menus for the first several minutes we were at Maiz. During the second check-in (I think), our server Zach mentioned fresh made guacamole, and I pounced! Oddly enough, I saw a segment on the news about avocados that morning, and I had been craving them ever since! Once the seemingly small bowl was delivered, Jess and I dug right in – using the multi-colored chips to quickly consume most of the bowl. And, the bowl yielded way more guacamole than I thought it would! I’d love to say it was the best guacamole I’ve ever had, but honestly, I ate my portion so quickly that I can’t honestly remember anything specific or special about it. It clearly was tasty enough guac! I started to peruse the menu, and then Jess and I laughed. We both knew that I wouldn’t be able to figure what I would want from this expansive menu full of items I LOVE! Jess was set on ordering the quesadilla, so when our waiter (Zach) came back, I simply asked him to please bring me his favorite dish. His response: “Okay, (to Jess) and for you?”. Jess’s response was “I love when they don’t flinch!” (or something similar in sentiment). Again, Zach didn’t get flustered. She then proceeded to order the steak quesadilla. After just enough time had passed that we’d been able to catch up on what we needed to, but not really a long wait, our food was delivered. Jess was served her quesadilla and I was served the mixed fajitas (chicken, steak and shrimp) – along with all of the fixin’s, and rice and beans. And, Jess’s quesadilla…she gave me a bite…good Lord! So very good! I’d certainly recommend it to others! If you’re in the Ann Arbor area and looking for Mexican fare, Maiz had delicious food, good service, and is big enough to accommodate a large lunch crowd without having a long wait. 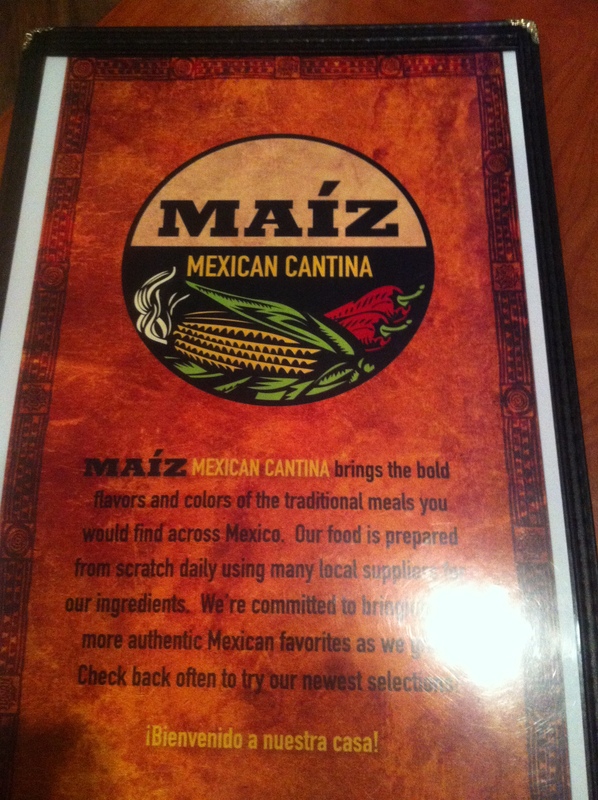 I’d recommend stopping in for a meal at Maiz. I’d certainly go back, Bryan! 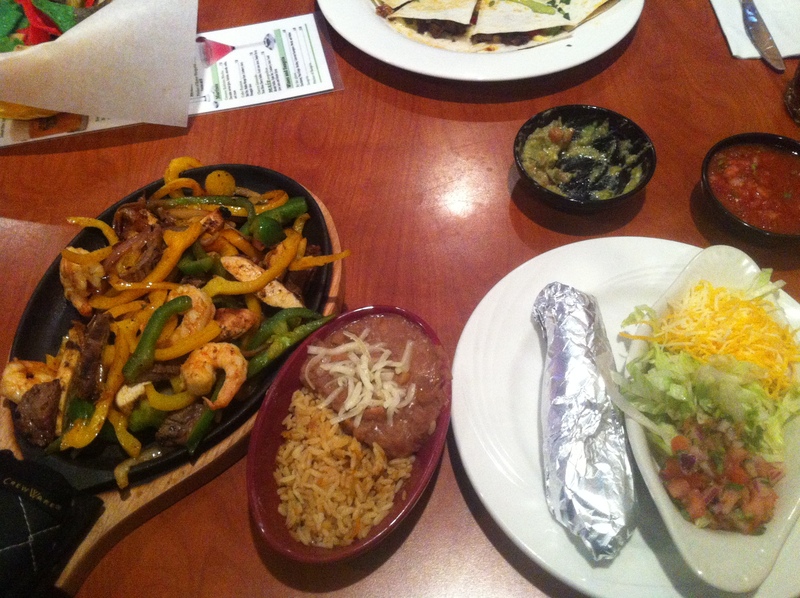 And, Jessi is right…the quesadillas were fantastic! I swear i love having a greasy bag of fresh (or stale) mexican tortilla chips. LOVE IT. I probably should have taken some of those chips home, Ant. They were fresh, salty and delicious – the best kind! Haven’t been there yet (I’m from Ann Arbor) but will have to check it out soon! Thank you for checking out the blog! I so appreciate it! Maiz is not the most “authentic” place, per se (atmosphere-wise), but the food was really very tasty (in my opinion). The service was spot on, and the location was great for where we were coming from (Arrowhead Dr off of Dixboro Rd). I think it’s worth cataloging for a go-to, reliable joint in the AA area!